I am a UI/UX Designer living in Austin, Tx. I specialize in designing and building beautiful responsive web experiences. This wordpress website uses a child-theme of the Twenty Seventeen theme that I created myself. FAQs: Who are the users and what are their goals? What are the business goals? How is the product going to be used? What are the constraints? What does the user See, Do, Think, and Feel? Time to take the research and find the common pain points amongst the target users. Let’s solve those problems in a creative way. Post-its, collaboration, and exploration of solutions happen here. It’s my favorite part! Pencil, meet paper. Marker, meet whiteboard. Sketching the layout and structure of the product helps put the ideas into motion. Time to see the framework come together, add some visuals, and make it all interactive to see the new product in action. Test…Refine…Repeat. This agile process of testing as you go, helps designs progress while allowing changes early in the process. 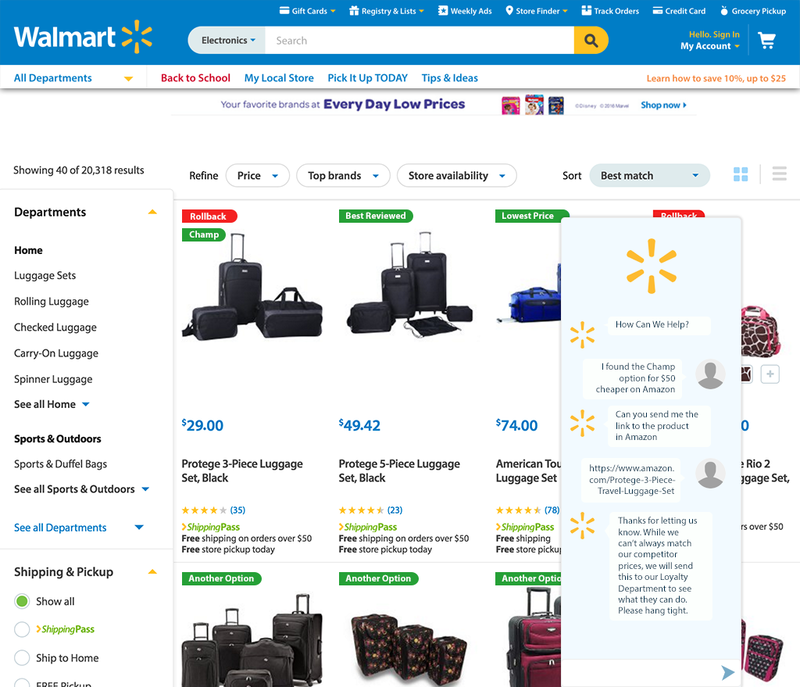 I was tasked with creating a walk through of how Walmart might implement the Tripchamp functionality within their own website.